Idia americalis - Hodges#8322 (American Idia). Size: approx. 15-20 mm. Photo: 09/05/11, 11 pm. 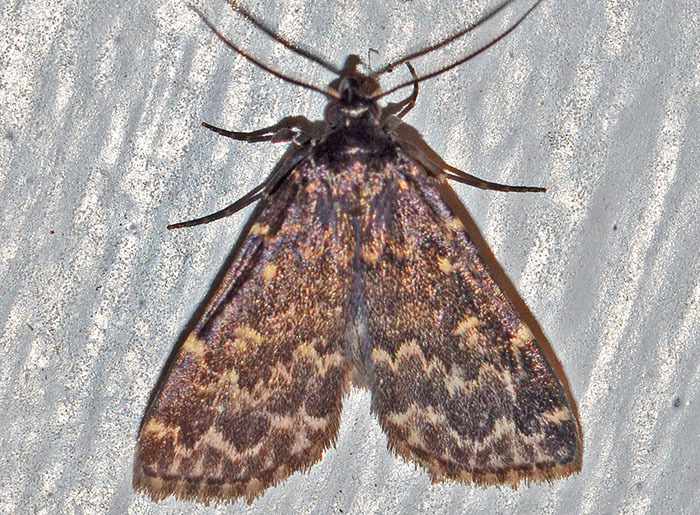 A widespread moth in North America: American Idia (Idia americalis). 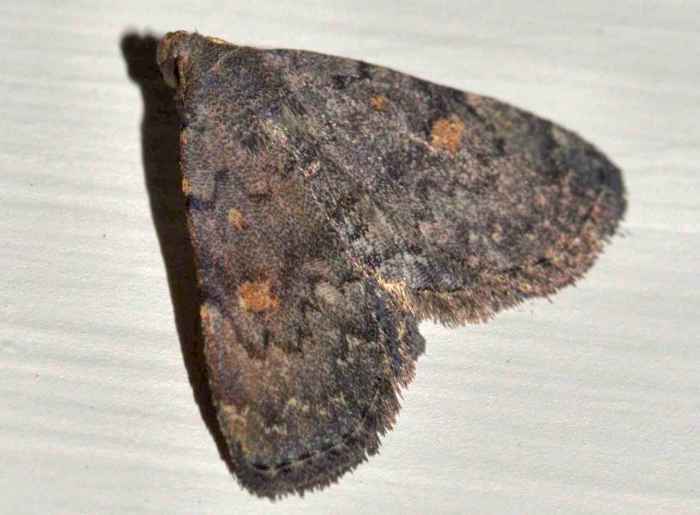 The forewings are light gray and brown, marked with fine black jagged lines. 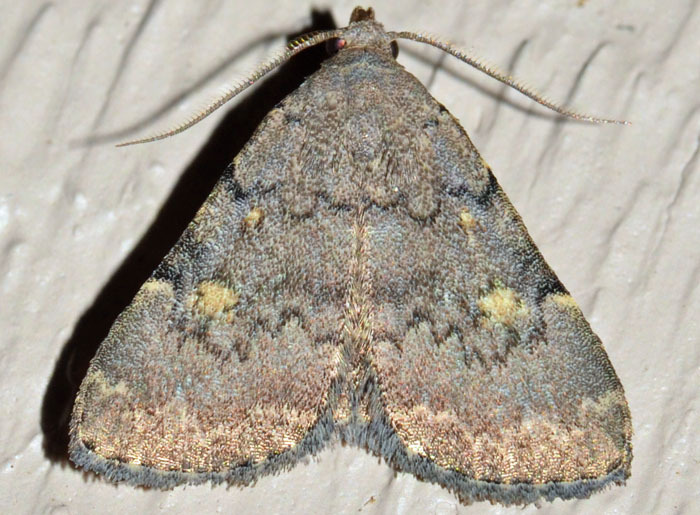 The reniform spot is usually filled with orange scales. Multiple generations per year. Larvae feed on lichen and dead leaves. Size: approx. 20 mm. Photo: 08/10/14, 10 pm. Another Idia species. In Europe, this one is apparently called "Waved Tabby". The small photo shows (what I believe to be) a different specimen. Idia diminuendis - Hodges#8329 (Orange-spotted Idia). Size: approx. 10 mm. Photo: 10/17/11, 9 pm. There are simply too many brownish Idia species in Tallahassee. For the US, the count stands at 18. They are impossible for me to distinguish, so thanks to the bugguide experts! Idia lubricalis - Hodges#8334 (Glossy Black Idia). 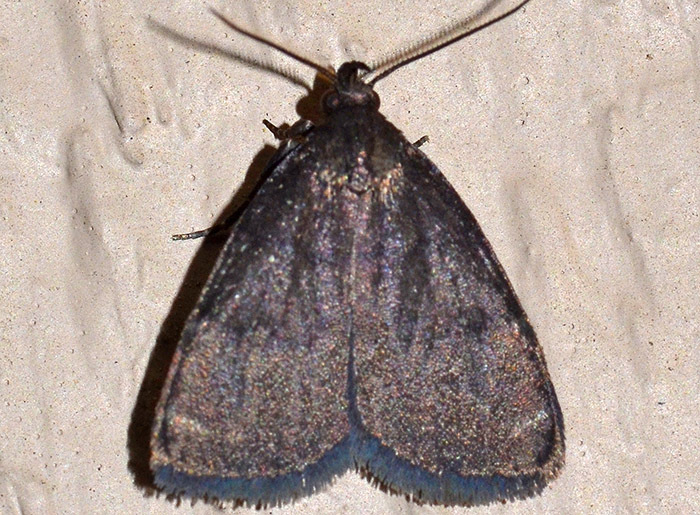 ... and another Idia moth: I. lubricalis. And yes, it did look rather glossy. The wingspan is 24-36 mm. Its larvae feed on dead leaves and fungi associated with dead wood. 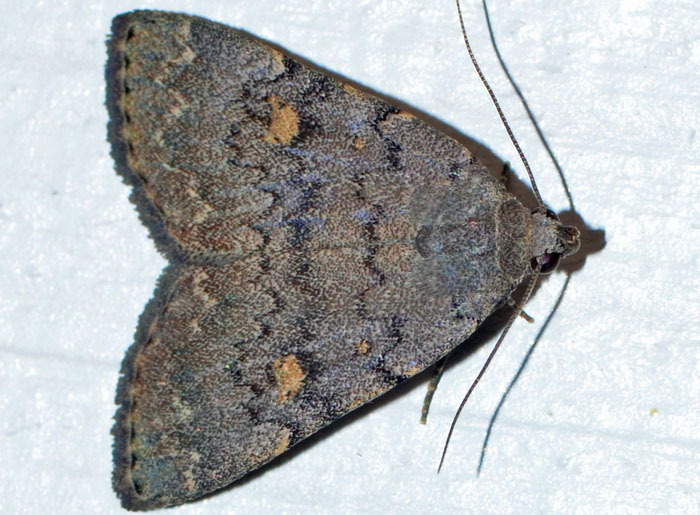 Idia rotundalis - Hodges#8326 (Rotund Idia Moth). Size: approx. 12 mm. Photo: 04/01/18, 10 pm. 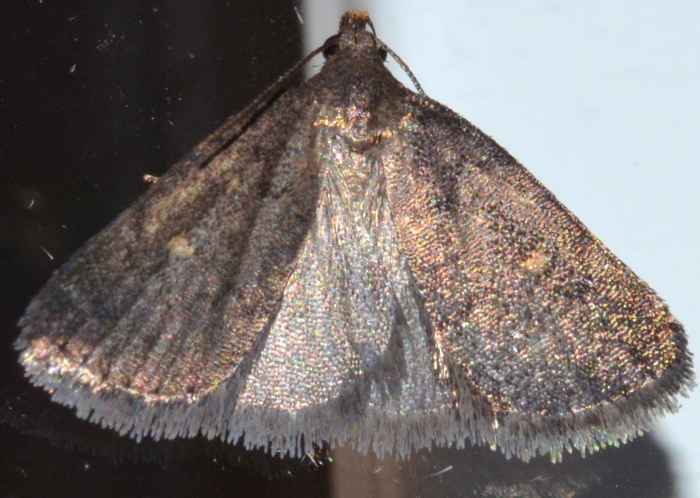 Idia rotundalis, also known as Chocolate Idia, has shiny, sooty black forewings with obscure dusky lines. It feeds on coral fungi and dead leaves.